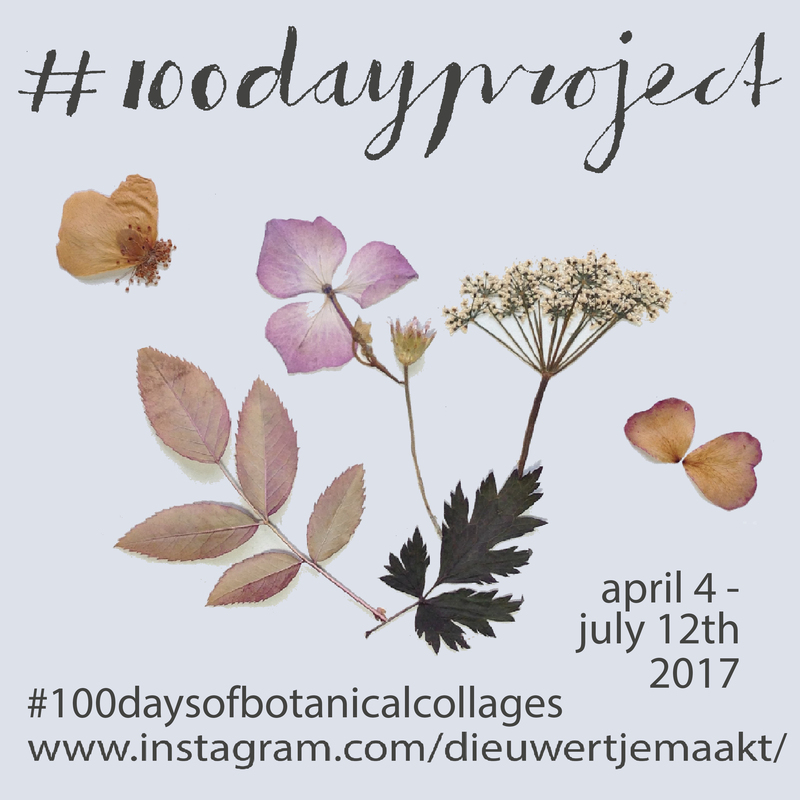 100 days of botanical collages is a project in which I’ll be making collages for a hundred days and daily post the results on my Instagram account. Working from my garden studio I love capturing the beauty of everything that’s growing in and around my garden. It is the base for everything I make. I also love creating collages and patterns with fresh flowers. During winter months I ‘m using the dried flowers and leaves I picked during the summer months. From april 4th up until july 12th 2017 I’ll be exploring several techniques to capture the plants and flowers that are in bloom in my garden right now. I’ll be arranging them into collages or patterns and photograph or reproduce them as analog prints. On sunny days cyanotype and sun prints are definitely on my list. The chemical process in which the fluid reacts with the sun is just magical. I’ll be sharing tutorials during the project so you can try it out for yourself. When you’re new to Instagram you might not have heard from #the100dayproject. Anyone can join and picks his or her own subject. I’ve had friends doing 100daysofcircles (! ), 100daysofknitting and so on. Last year I did #100dayspaintinginmygarden, which I loved doing. It’s especially good if you’re using a technique like water color, which takes a lot of practice… I’ve been using and selling the images afterwards in my bedding designs.